While you may expect to encounter polluted air when walking outside, you assume indoor spaces are free of car exhaust, smoke, and allergens. Unfortunately, that is not the case—these particles sneak into the home every time you open a door or window. Air purifiers, vacuums, and other modern devices play a crucial role in eradicating these contaminants and protecting occupants’ health. How Does Indoor Air Quality Affect Health? Exposure to polluted indoor air can have both immediate and long-term effects on your health. For example, breathing in smoke, dust, or pollen could cause allergy-like symptoms, such as coughing, sneezing, and irritated eyes. For those with asthma, breathing poor-quality air could trigger an attack. Years after exposure, polluted air could also result in respiratory diseases. Some people even develop heart disease or cancer as a result of poor indoor air quality. To make your home a safer, more comfortable place to live, start by investing in an air purifier. These advanced machines will sift through the indoor air supply, filtering out harmful pollutants and irritating allergens, and then trapping them in a filter. In addition to cleaning your air, some air purifiers also neutralize odors and heat the space. With an air purifier running throughout the day, you’ll notice an immediate improvement in the way you feel. However, there are additional steps you can take to combat pollutants. Some airborne particles will float down and settle on your floors and furniture, so it’s crucial to vacuum regularly. Once a week will suffice for some homes, but households with pets and children should sweep every other day. Homeowners can also places air-purifying plants throughout the space, as they turn carbon dioxide into fresh oxygen. 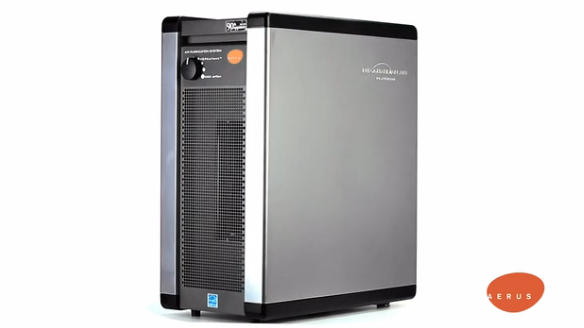 If you’re interested in investing in a top-quality air purifier that will keep your family healthy, turn to Aerus Electrolux of Seymour, CT. Since 1924, this company has made its name selling high-end vacuums, air purifiers, water filters, and laundry sanitizers. To learn more about their time-tested inventory, visit the website. You can also call (203) 881-0910 or (203) 410-4653 after 5 p.m. to speak with a representative.